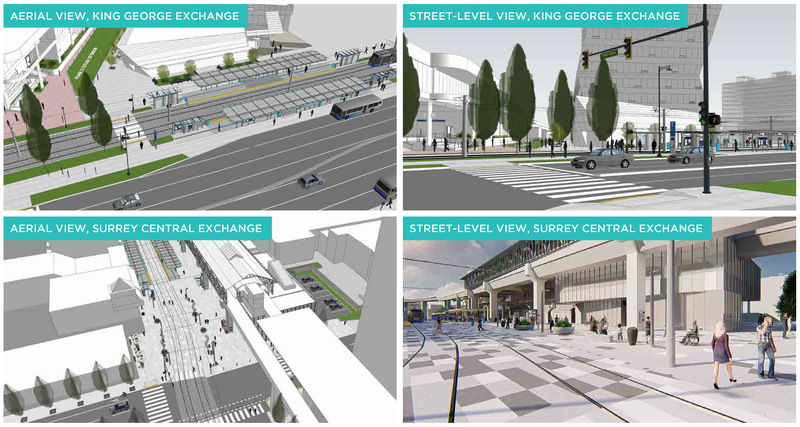 Public consultation is set to get underway this month for the proposed Surrey Langley SkyTrain (SLS) extension, as well as the future of rapid transit along 104 Avenue & King George Blvd. With funding in place to cover the entire first phase, and construction set to begin this year – a last minute request was made in 2018 by Surrey’s new Council to the regional Mayors’ Council to suspend the Phase 1 Surrey-Newton-Guildford LRT line and re-direct funding to the Phase 2 Surrey-Langley line instead, while switching the technology of the Phase 2 line to SkyTrain. 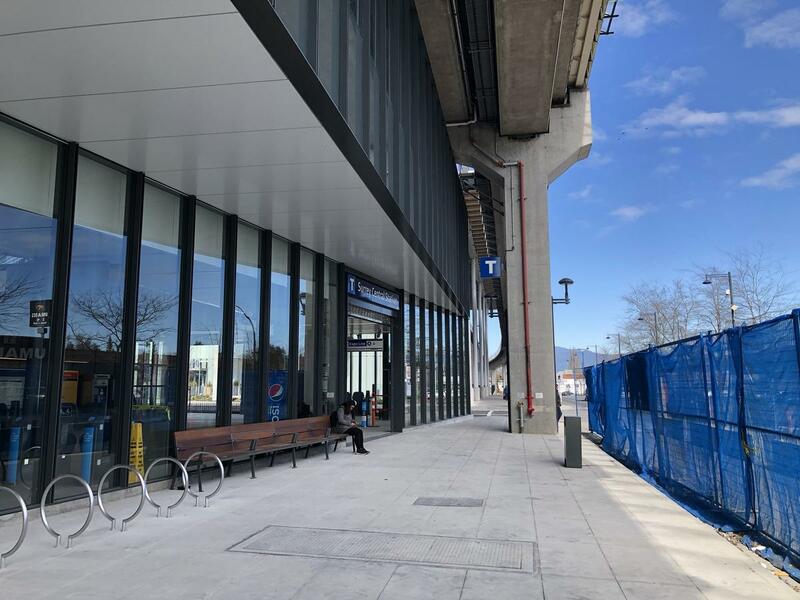 The Mayors’ Council voted to move forward with this request, and directed TransLink to begin planning work for SkyTrain on Fraser Highway while at the same time re-visit rapid transit plans for 104 Avenue and King George Boulevard corridors. 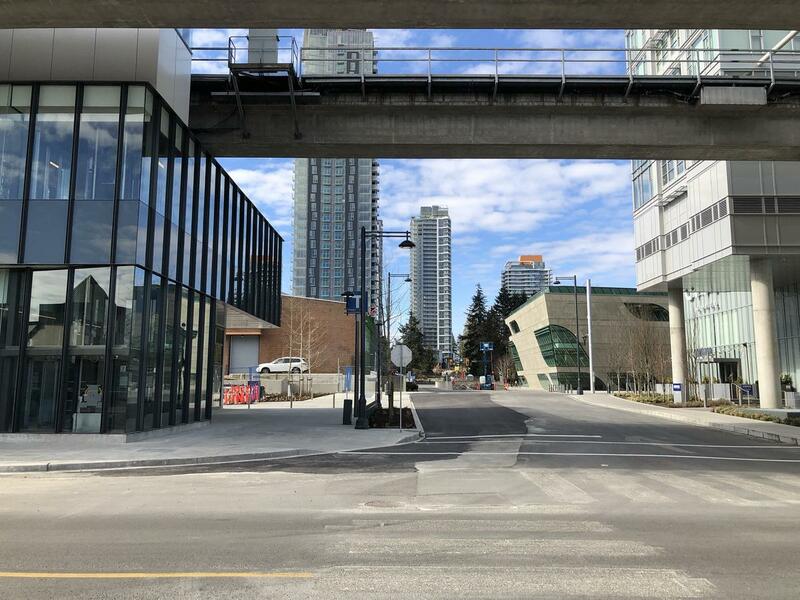 The switch of priorities to the Phase 2 Fraser Highway line and changing its technology to SkyTrain has had implications both in budget and timeline. 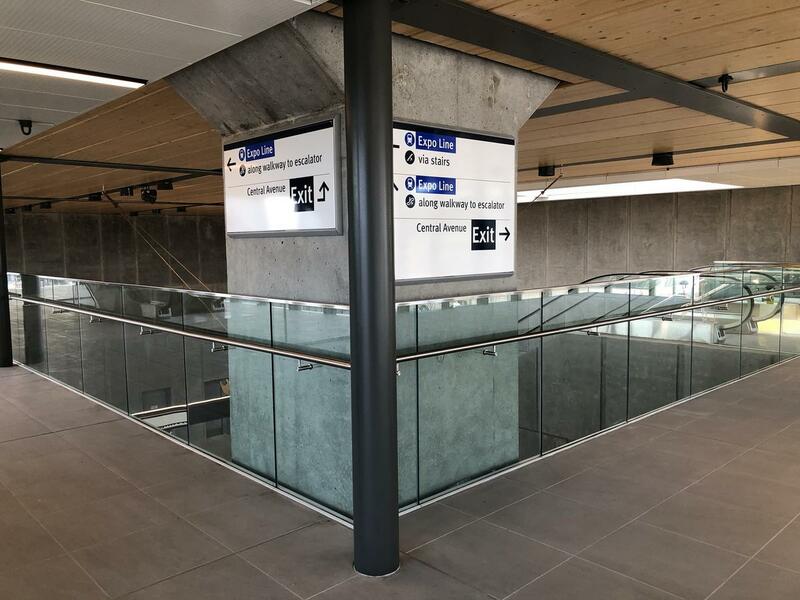 The funding that was allocated for the full Phase 1 Surrey-Newton-Guildford LRT line has been identified as inadequate to fund the entire Fraser Highway SkyTrain extension to Langley. Pending a future round of funding (timeline unclear), the line may have to be phased, with the current funding getting the line potentially only as far as Fleetwood. Start of construction and delivery of new rapid transit South of the Fraser is also now delayed by approximately 2 years as a result of the switch. Despite the funding and timeline uncertainties, planning work is nonetheless well underway for the new SLS line, which will need to involve a significant re-evaluation of land-use plans along the Fraser Highway corridor to support SkyTrain, completion of a number of supportive studies, and extensive Public Consultation. 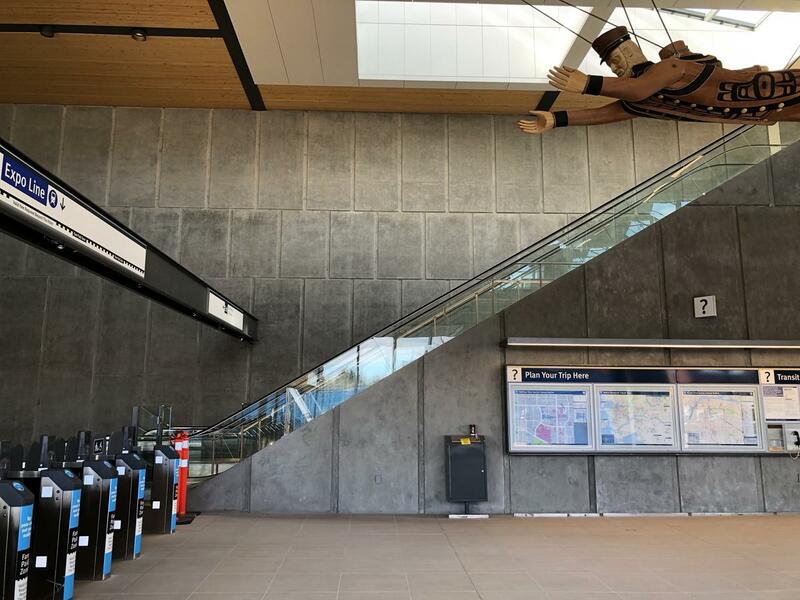 In a project update report to Surrey Council this week – a preliminary timeline was given for this work by TransLink, with start of service targeted for 2025. To run concurrently with the SLS planning and consultation work will be a planning process to ‘refresh’ the South Fraser Rapid Transit Strategy for delivering the Mayors’ Council fully envisioned 27km of Rapid Transit along each of the Fraser Hwy, King George Blvd, and 104 Ave corridors. 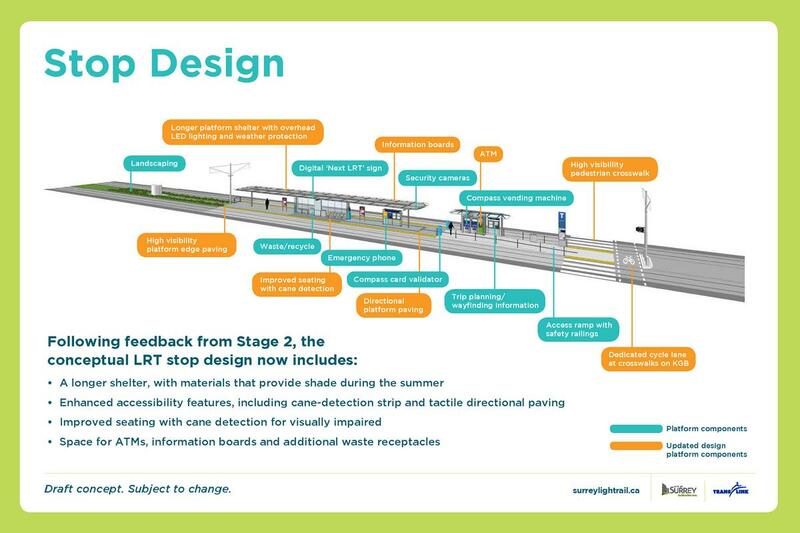 This refresh will look to re-examine and engage the public on what rapid transit along the remaining corridors could look like, now that SkyTrain has been chosen as the technology for Fraser Hwy. 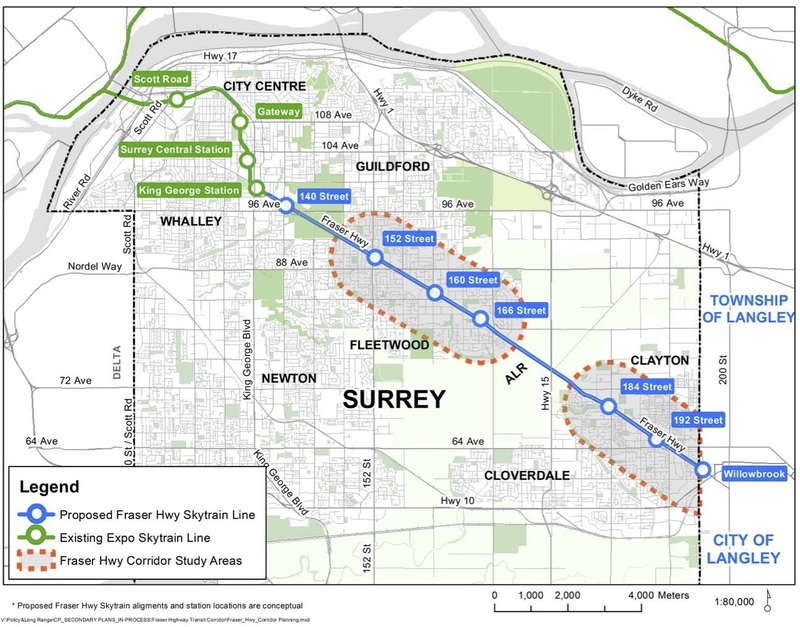 The 2013 Rapid Transit Alternatives Study identified Bus Rapid Transit (BRT) for these corridors based on a scenario with SkyTrain on Fraser Hwy. 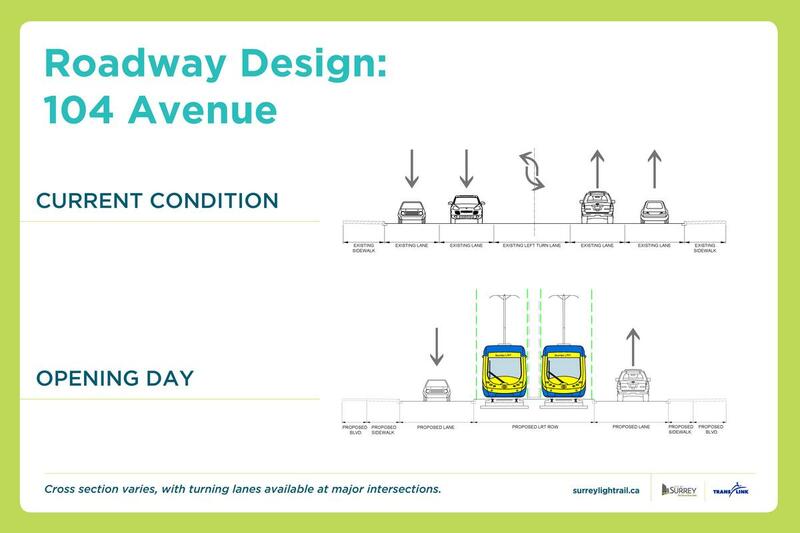 With much LRT planning work having now been completed however, for the 104 Ave and King George Blvd corridors, it’s possible that LRT could still be an option for them rather than BRT, especially given Surrey’s long-term rapid transit vision for an extensive LRT network on major arterials across the City. 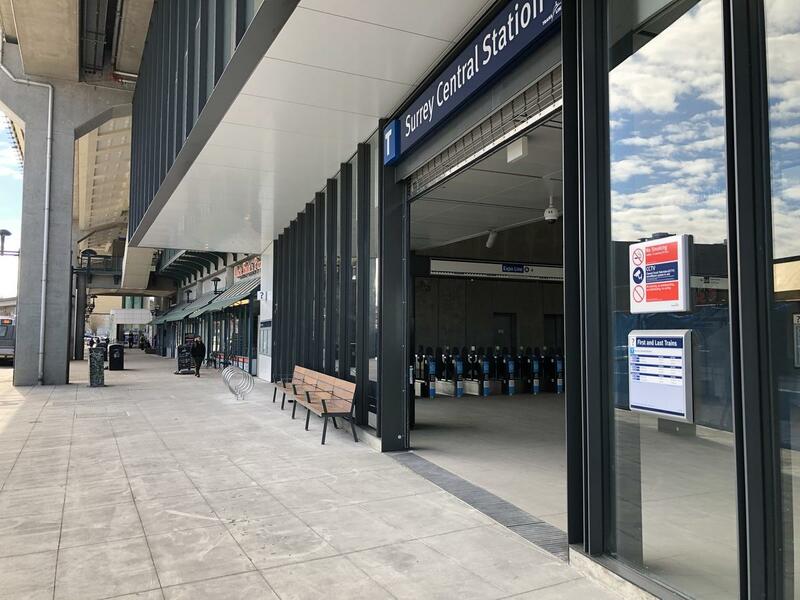 After nearly 2 years of construction, the Surrey Central Station north station house expansion officially opened to the public this weekend. 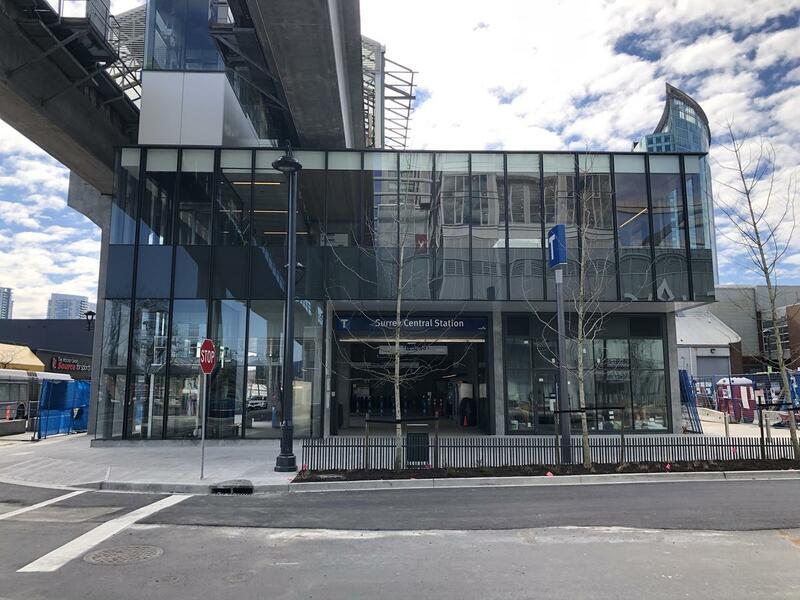 Designed by OMB Architects, the new 2-storey station house is now the largest entrance at the station, fronting directly onto the corner of Central Avenue and City Parkway across from Civic Plaza. 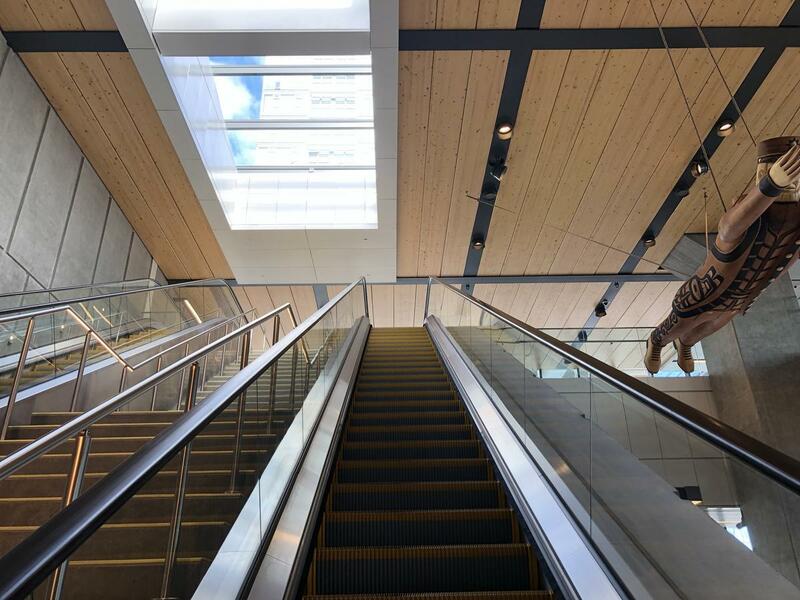 The new station house features a contemporary, open, and airy design consisting of glass, concrete, and wood materials, as well as a prominent new First Nations art installation suspended from the ceiling – ‘The Sea Captain’ by Marianne Nicolson. 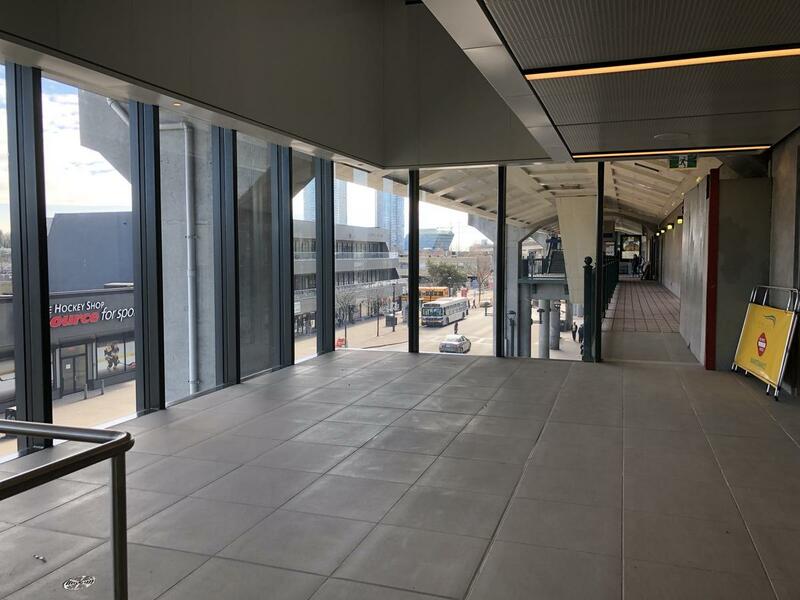 A new retail unit has also been added to the station next to the entrance fronting Central Avenue, but has yet to be occupied by a tenant. 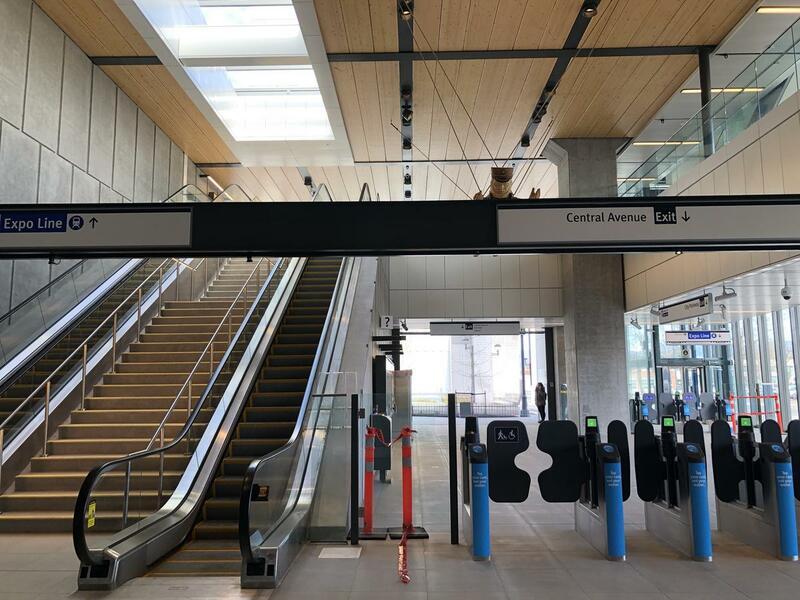 This latest upgrade to Surrey Central Station is just the beginning of an even larger expansion and re-configuration to come in the future. The lands immediately west of the station, where the current North Surrey Recreation Centre and Bus Loop sit – known as the ‘Centre Block’ are expected to be redeveloped in the coming decade. With that will come the removal of the suburban-style bus loop and re-positioning of bus bays onto streets surrounding the station. 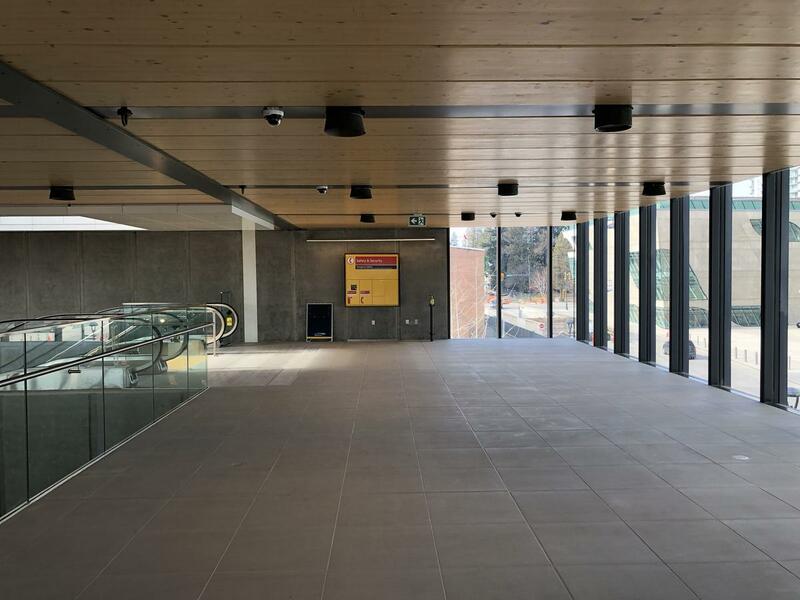 A major overhaul of the station is expected at that time to modernize and better integrate it into its evolving urban context. 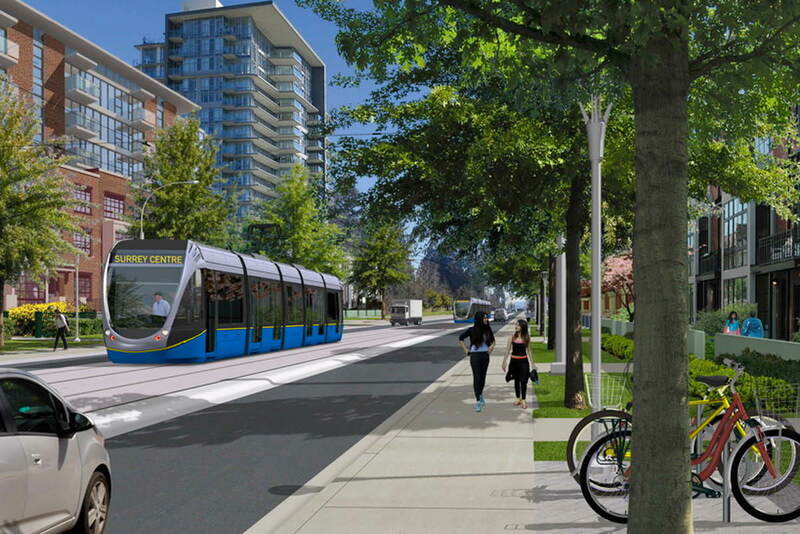 LRT – City Centre-Newton-Guildford: The proposed ‘Phase 1’ LRT route – with secured funding and significant planning and design work already completed – is planned run from Guildford along 104 Avenue to City Centre, then south on King George Blvd to Newton. This is known as the ‘L’ Line or Surrey-Netwon-Guildford Line – serving Surrey’s most populated, and urban town centres. SkyTrain – Fraser Highway: Doug McCallum’s SkyTrain – which would need to be planned and designed from scratch – would provide no rapid transit to Guildford or Newton (Surrey’s most populated / urban town centres) – but instead be an extension of the existing Expo Line down Fraser Highway to Fleetwood, Cloverdale (Surrey’s least populated / urban town centres) and Langley. LRT: The proposed ‘Phase 1’ LRT route would serve Surrey’s most established urban corridors with the highest densities – 104 Avenue and King George Blvd. Guildford Town Centre contains the regions 2nd largest shopping centre, numerous high-rises and offices. 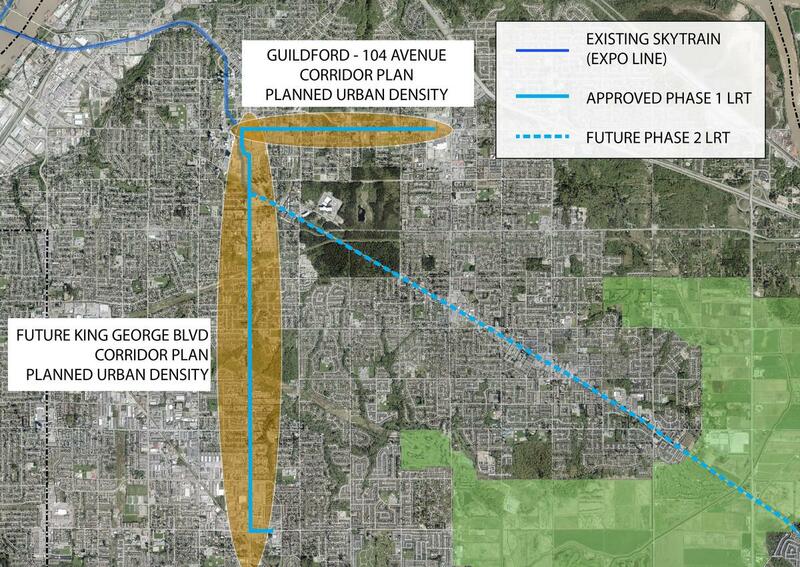 Further, the currently underway Guildford-104 Avenue Corridor Plan which is set to become adopted in 2019, has designated land all along 104 Avenue between City Centre and Guildford for increased urban densities appropriate for a rapid transit corridor. A similar plan is set to follow for the King George corridor between City Centre and Newton. 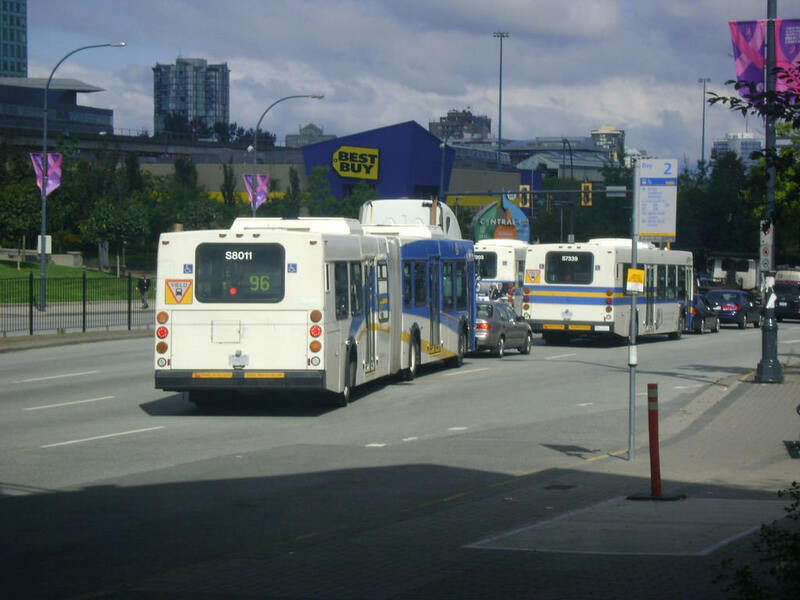 Simply put – 104 Avenue and King George Blvd are the most appropriate corridors for initial rapid transit expansion in Surrey due to their already underway land-use planning for higher density, and their existing densities, land-use, and most urban character of Surrey’s corridors. This route would have the lowest densities of any SkyTrain corridor in the region – including significant stretches through forest and ALR farm land – unseen anywhere else on the SkyTrain system. SkyTrain along Fraser Highway would require significant land-use changes along Fraser Highway to justify it – including significant increases in density, high-rise towers, and transit-oriented development – similar to elsewhere along the SkyTrain network. This would require changes to the Official Community Plan (OCP) – ironically Doug McCallum campaigned against OCP amendments. 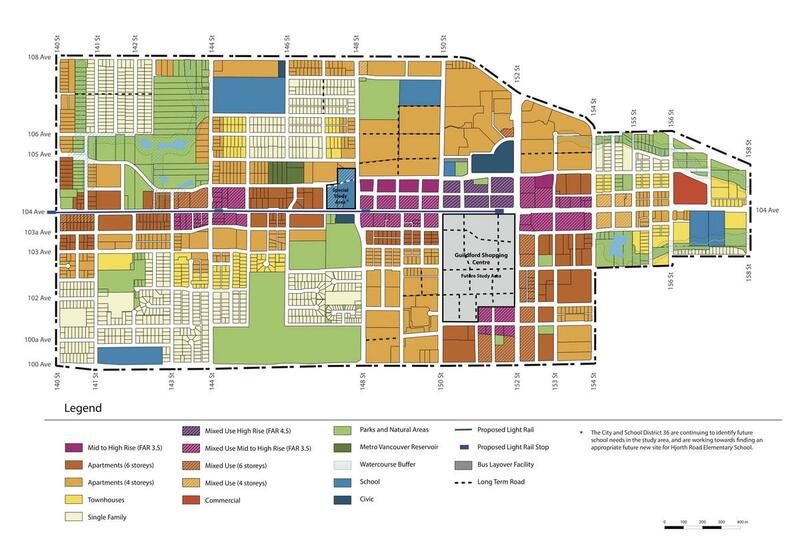 Simply put – this type of development is incompatible with the scale and character of the Fraser Highway corridor that is predominantly newer single family homes and townhomes. 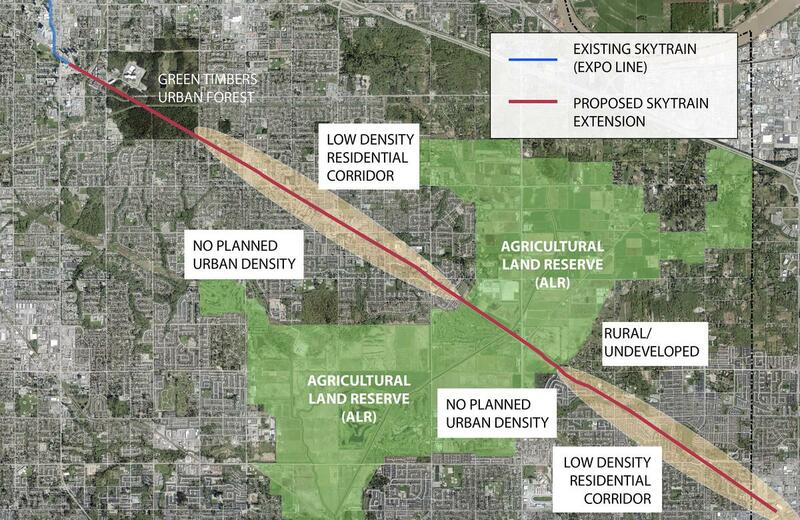 Many living along that corridor would surely object to such drastic land-use changes appropriate for a SkyTrain line. 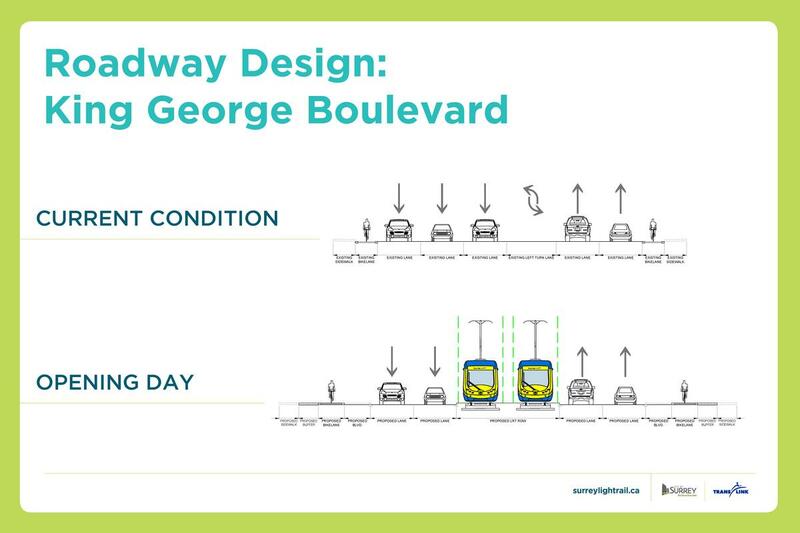 From a land-use planning perspective – it makes the most sense to serve the highest density corridors and urban centres (104 Avenue – King George Blvd) with rapid transit prior to lower density corridors such as Fraser Highway. 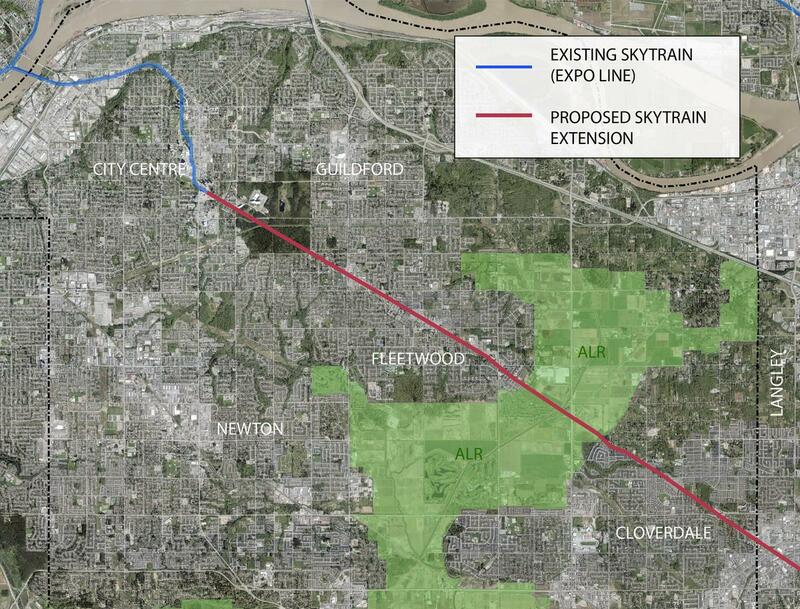 Instead, a SkyTrain extension over LRT would do the exact opposite of what makes sense. While it is important to provide a rapid transit link to Langley, and connect the communities of Fleetwood, Clayton/Cloverdale with regional rapid transit – from a land-use and planning perspective these areas are lower priority than Guildford and Newton – and Fraser Highway does not have density appropriate for SkyTrain. In an ideal world, Langley would be serviced by long-distance commuter rail such as all-day WestCoast Express – but realistically – LRT may be the best option for serving Langley down Fraser Highway as a Phase 2 project – given the density, scale, and character of that corridor. LRT: Funding for the proposed ‘Phase 1’ LRT route is “in the mail” from the Federal and Provincial Governments. Significant planning, consultation work, and design has been underway for years, and the project is now at the procurement stage with construction set to begin in 2019 and completion by 2024. 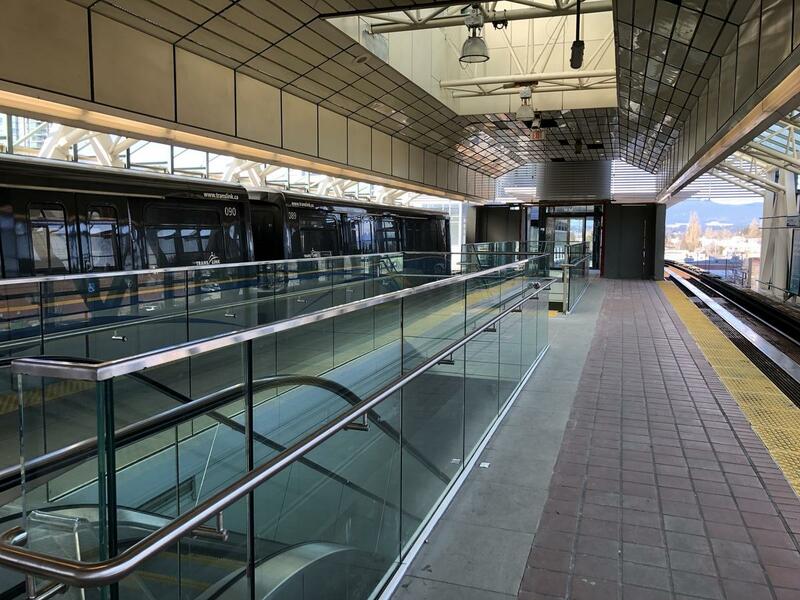 LRT scheduled to begin construction in 2019 – years of planning, consultation, design already complete. 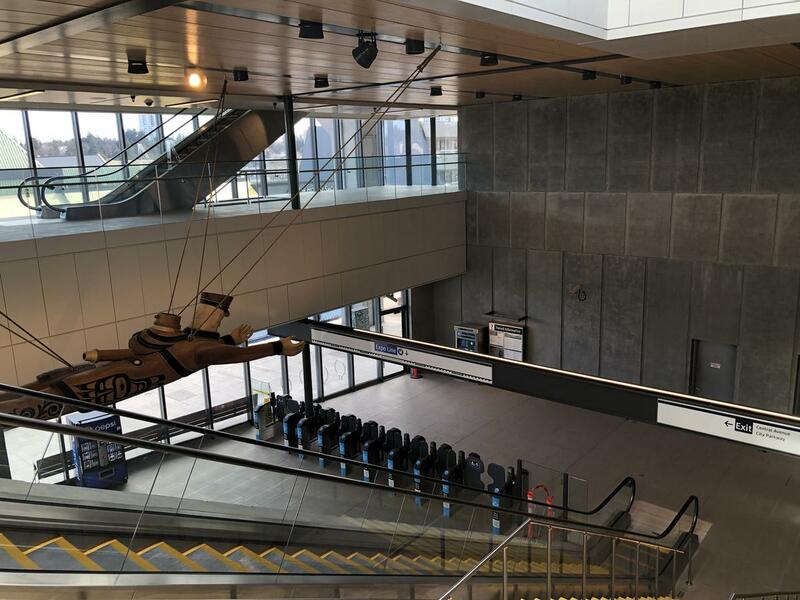 SkyTrain: Doug McCallum claims that secured funding for LRT can simply be ‘switched’ to fund a SkyTrain extension to Langley instead of the Guildford Newton line. 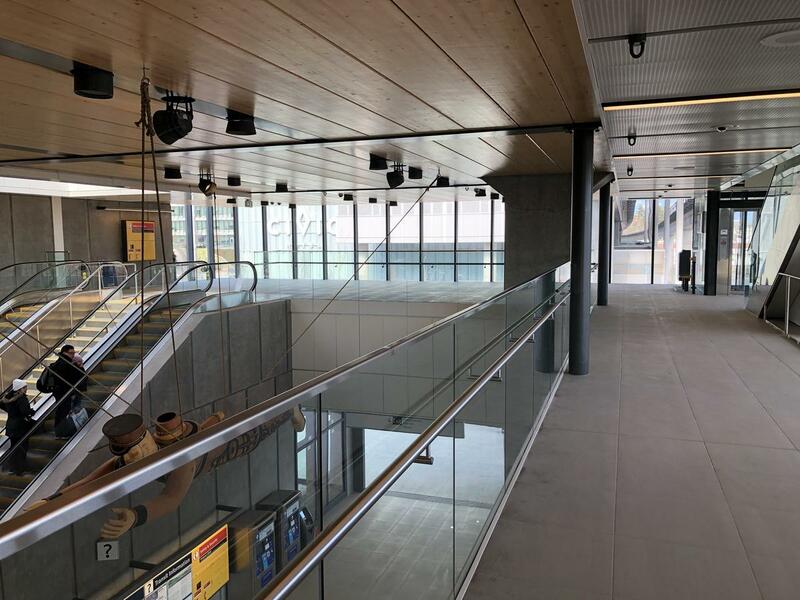 While this may be possible, as the funding doesn’t specify a type of rail – the fact is – no planning, consultation, or design work has been completed on a SkyTrain extension down Fraser Highway. 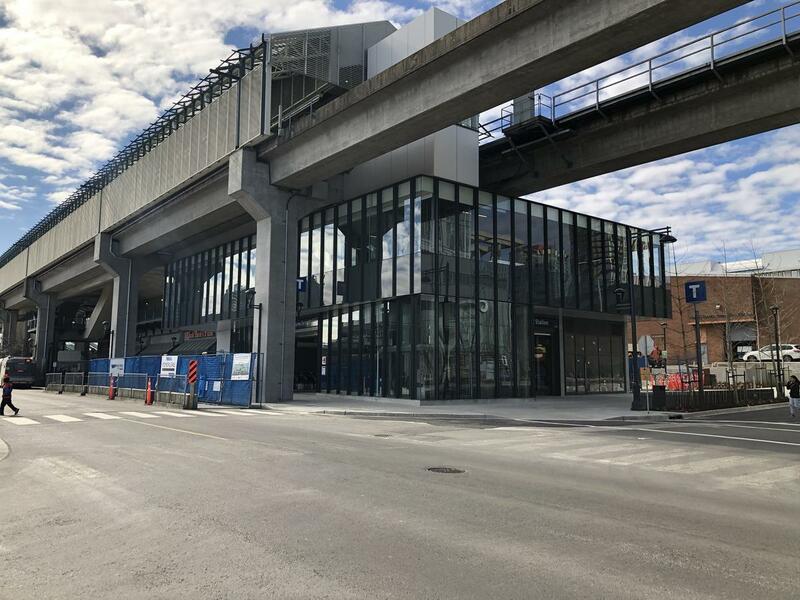 The amount of time and additional resources that would need to go into a SkyTrain extension prior to its construction would not only delay the project for an unforeseen number of extra years – pushing completion of this line to the late 2020’s. 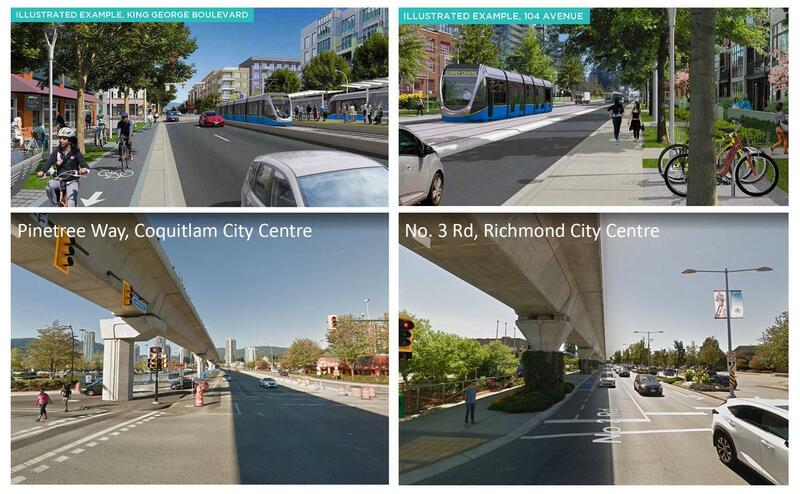 By that time, Phase 2 of the LRT is likely to be under construction – resulting in Surrey having 2 new rapid transit lines by the late 2020’s instead of just a single SkyTrain extension down low-density Fraser Hwy within the same time frame. While these reasons aren’t exhaustive in the debate – they are very key ones that have been surprisingly absent talking points. 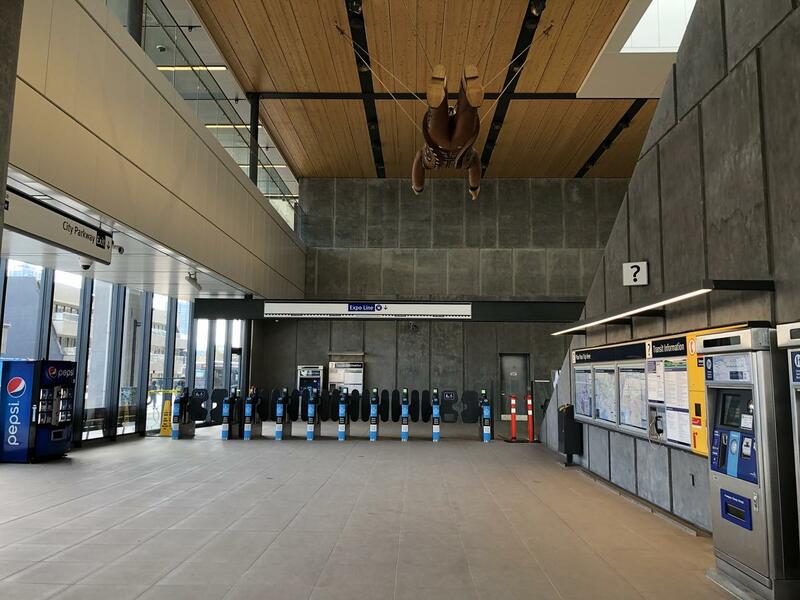 Surrey residents may not have been the best informed on the SkyTrain vs LRT debate thanks to the media – to make an educated decision that weighs more factors than just ‘speed of service’ and ‘glamour of SkyTrain vs LRT’ – but in the end it may not matter. 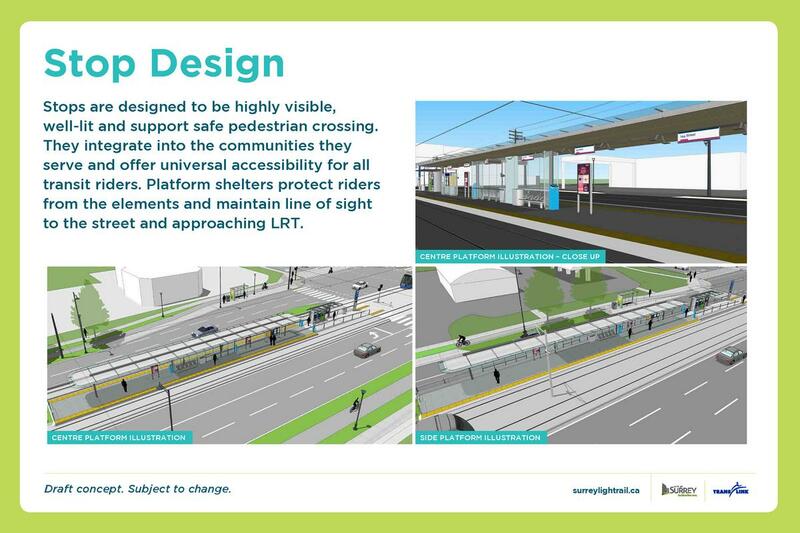 The LRT project is likely too far along at this stage and with too much else to consider to simply be ‘switched’. It is being led by non-partisan land-use and transit planning experts in the Planning & Transportation Departments (not the former Mayor or Councillors as some may believe) – experts who should be leading such projects – rather than transit planning on a whim by politicians and voters.